For some of my tutorials, I use the Atom Code Editor. It’s not as easy as Coda, but it does provide a LOT more flexibility in terms of configuration and customization. Over the last couple of years, I’ve collected a handful of useful tips and tricks for dialing in the perfect Atom environment. Well, perfect for my own needs — your mileage may vary. So without further ado, let’s jump into some sweet Atom tips. I update this post with new tips as I get them. Note: To open the Atom Settings page, visit File > Preferences. For tutorials, I prefer dark text on light background, so I go with the built-in “One Light” theme for both UI and syntax themes. For my own use, I like atom-material-ui, atom-material-syntax, gruvbox, and iplastic-syntax. Visit: Settings > Install > “atom-background-tips”, and click disable. Note: this is done automatically if you implemented the previous tip (Wrap at line length). Note: Cmd+Save to save changes. Test thoroughly and protect your .ftpconfig file using the next technique. To use Atom for SFTP functionality, you need to keep a .ftpconfig file on the server. Unfortunately it contains your site’s FTP credentials, which would enable a hacker to destroy your site. So it is best to add a slice of .htaccess to protect the file from all public access. Alternately, you should be able to protect .ftpconfig by restricting it’s file permissions, but it’s not something I have tried. For me, it’s easier to just add the .htaccess code. Hi Jeff, just a quick thing I noticed: you don’t need to place the .ftpconfig file in the server, you can just leave it on your local folder and it’ll do the job. Nice one. Thanks for the tip Ale. I am used to using Geany, as that was one I was using on Windows (back in the day). 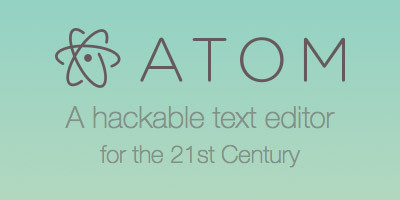 Yeah the more I use Atom, the more I like it. Currently using Coda for most dev work, but also use Atom for mobile development.